Tired of searching for The Perfect Gift? How many of your gifts promptly found their place in the closet corner or deep in a drawer? 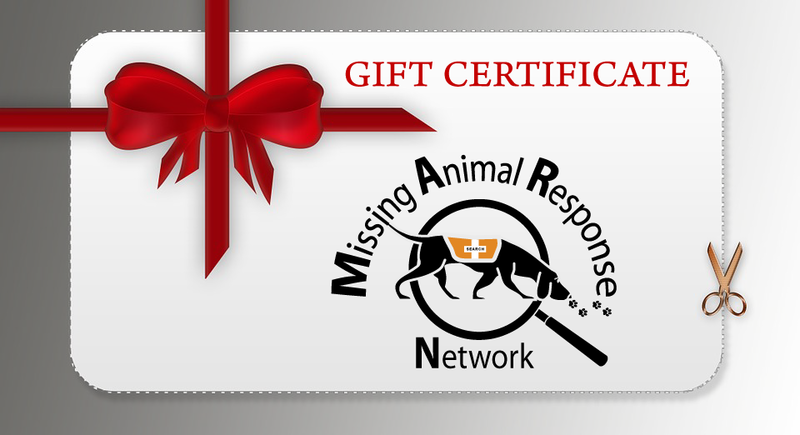 It will never happen with our Missing Animal Response Network gift certificates! Give that animal lover in your family a unique gift that will help them save lost or missing pets. To purchase go to the Gift Certificate page . Learn how to be a Pet Detective. Our 8-week online Missing Animal Response Field training courses are the PERFECT gift for the pet lover in your life! This training is useful for anyone involved in lost pet recovery, rescue work, dog training, veterinary work, or anyone who wants to learn more about how to help recover lost dogs and cats. Cost $350.00. 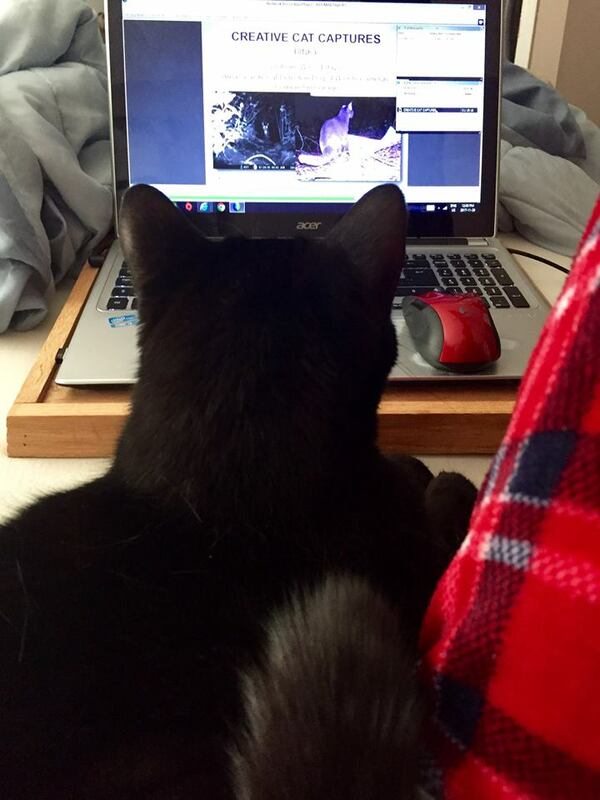 Photo below was sent from a MAR student whose cat Chester (clearly mesmerized with the training!) gave a “4 paws up” approval! For course details visit our MAR Course Page, click on Registration, fill out your contact information and in the “Optional Message” area indicate the name of the person who’ll receive the gift, make your payment, and we will send you a printed gift certificate that you can give them as a gift. If you any questions please visit our Contact page and send us a message. We will be happy to answer any question you may have.